For those who don’t know, Stephanie Plum is the main character. She works as a bail bonds officer, tracking down people who fail to appear in court, which in this instance included a 72 year old vampire, and an escaped bear. Stephanie is helped along the way by Lulu the wearer of ridiculous outfits, and Mooner the stoner. The actual story was the same as always, I guessed the killer as soon as the character came in, however that didn’t spoil it. These novels are just pure escapist fun. The story being the same is just part of the charm. Reading a Stephanie Plum novel is a bit like meeting up with old friends, you may not have seen them for months but when you do its like you saw them the day before. You know that someone is going to try and kill her, you know her car (or cars) will get blown up, and you know that Rex the worlds longest living hamster will still be running round on his wheel. 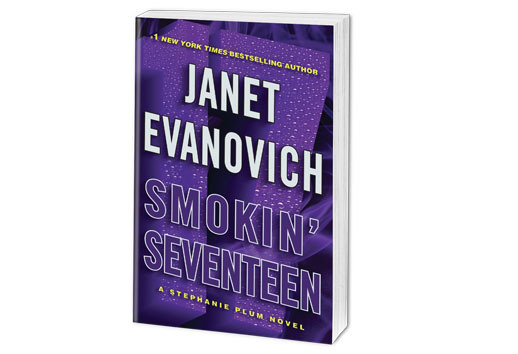 Janet Evanovich has written a large amount of novels, and looking at her website I was surprised to see she had also written a number of non-plum books which I look forward to picking up. Her first novel ‘One for the Money’ is one of my favourite books, and if you like a witty ‘chick thriller’ (I think that’s a category they should start using in Waterstones) then I would definitely recommend Janet Evanovich.